The Chairman of YOUNG IN ENGINEERING, Kim Young-dal is a legendary figure in the electric power industry. He has built his career for nearly 60 years after setting foot in the electrical field in 1961. He is referred to as more of a legend than of living proof now. Chairman Kim is capable of identifying underlying problems just by listening to the sound of a transformer. It is well-known fact that he has survived many life-and-death experiences to become who he is. The substation facilities in KEPCO were his home and his life. He has become one of the high-profile figures after striking big deals in Myanmar. YOUNG IN ENGINEERING represented by Chairman Kim may be considered merely a small-sized engineering company in Korea but it is treated as if it is a leading conglomerate in Myanmar. across the United States, Europe, China, and Japan, which even Korean conglomerates do not dare to venture. YOUNG IN ENGINEERING is a household name in Myanmar. The trust in Chairman Kim by the Myanmar government enabled YOUNG IN ENGINEERING to be deeply rooted in Myanmar. The Chairman knew that Myanmar would rise to an emerging market and started seeking business opportunities in 2004. He urged the policy shift so that Myanmar can prioritize electricity. pointing out that the supply of electricity is crucial for the industrialization and enhancement of people’s well-being. He also provided consultation on electric voltage elevation. While various suggestions had been made, it was his opinion that was finally chosen. He earned trust by giving lectures in conferences attended by Myanmar dignitaries. After TV interviews, he became a celebrity across the nation. He proved his capability through finding overly invested and error-prone equipment as well as solving blackouts in cities. Once, he solved a substation blackout in Yangon after struggling for 9 hours in a dress suit at sweltering 45 degrees. He insists that the quality of electricity should come first among other things when asked if we have to stop relying on atomic energy. and poor electricity supply will eventually lead to downgrading of products, hurting the economy. For the investment in Naju Energey Valley, he said that he had to reward KEPCO since he had benefited so much. He added that renewable energy products related to the 4th industry would be manufactured at the Naju factory. another one in Naju, Korea, and a transformer factory in Yangon, Myanmar. economic efficiency, technological efficiency, and best quality. We had an interview with Chairman Kim Young-dal in his Sunae office. How did you get into the Myanmar market? When did the first opportunity come? While employed by KEPCO, I had a chance to participate in basic design project of 500kV transmission voltage elevation with Myanmar in 2003. It would not be easy for a small and medium-sized company such as YOUNG IN ENGINEERING to penetrate the Myanmar market. Could you please share your secret of success? We have fully taken advantage of our experiences and know-how obtained while performing various projects in the Korean market. We finished the projects within a given project period and supplied service even after project completion. That way, we could build trust. and students there and this network became my biggest asset of the business. What was the most difficult part when you first started business in Myanmar? Do you have any word to the Korean government? The successful bid of a large-scale project entirely depends on its finance. But the conglomerate-friendly atmosphere in Korea extremely limits the chances of small and medium-sized company like us. Personally, I think it calls for sweeping changes. What are your accomplishments in Myanmar? We have successfully been awarded substation construction and consulting bids in Myanmar – worth $ 70 million in total. which was designed to meet rising electricity demands in the country. Also, we were awarded a bid for 66kV GIS indoor substation construction to relieve electricity overload of Yangon after fiercely competing against a Japanese company and completed the project within the shortest amount of time. 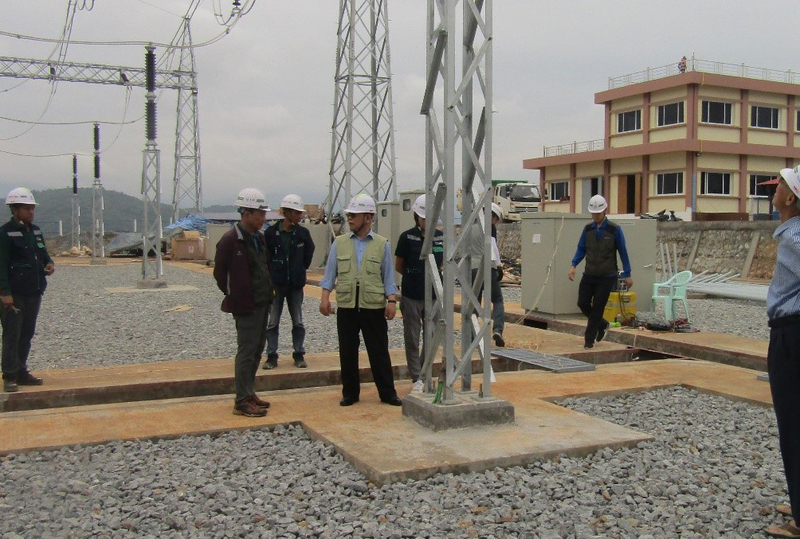 Now, we are constructing 230kV Namsam - Mine Pyin - Kengtong substations, which have become one of the field trip courses for Myanmar electrical engineers. What is your next business in Myanmar? I will expand business into thermal power plant, renewable energy projects, and hydro-electric power plant. And I will make an effort to secure stable income by winning a long-term large-scale project, advancing business into electrical EPC project. We have already built a factory for distribution panels, transformers, and switchgears in Yangon. We are expected to go into production at the end of this year. I understand you got involved in education in Myanmar. I wanted to do something meaningful other than just making a fortune. I felt that fostering fine engineers is the best present I can give to the country. So I thought of establishing a training center where you can practice with Korean electrical equipment. My ultimate goal is to make the center the hub of Southeast Asian electrical training. How could you develop your business in such a short span of time? It was possible because we have built a great deal of experiences with KEPCO. We strive to change to adjust ever-changing environments while focusing on R&D. YOUNG IN seems to value technology. Could you please tell your story about how come you established this company and what its goal is? I happened to give a piece of advice on the accident scene, one thing led to another, and then I found myself managing this company. which provides a total support system from design, supervision and construction to maintenance as well as supply of main equipment such as distribution panels. Any plan to educate electrical engineers in electric power industry? we must need technology and its foundation is education. However, regrettably we are witnessing cradles to foster electrical engineers are dwindling. The quality products are guaranteed only with the provision of quality electricity. For the prosperity of digital age or the 4th industry, the government, colleges, and people should take much interest in fostering electrical engineers. I understand YOUNG IN invested in Energy Valley, Naju. What made you think it would be a good investment? I felt obligated to make some investment for the energy valley project when I learned that KEPCO is eager to proceed with this project. protection panels, MCSG, control panels, and AC & DC distribution panels in the factory and export them to Myanmar and neighboring Southeast Asian countries in the near future. I do not intentionally squeeze in some time to work out. Challenging and positive spirits are what keeps me going.